Crystal clear sound & beautiful vocal effects! A wonderful system designed for acoustic performances at wedding ceremonies (we recommend our Wedding Reception Party PA system if you want something to make the dance floor move later on). 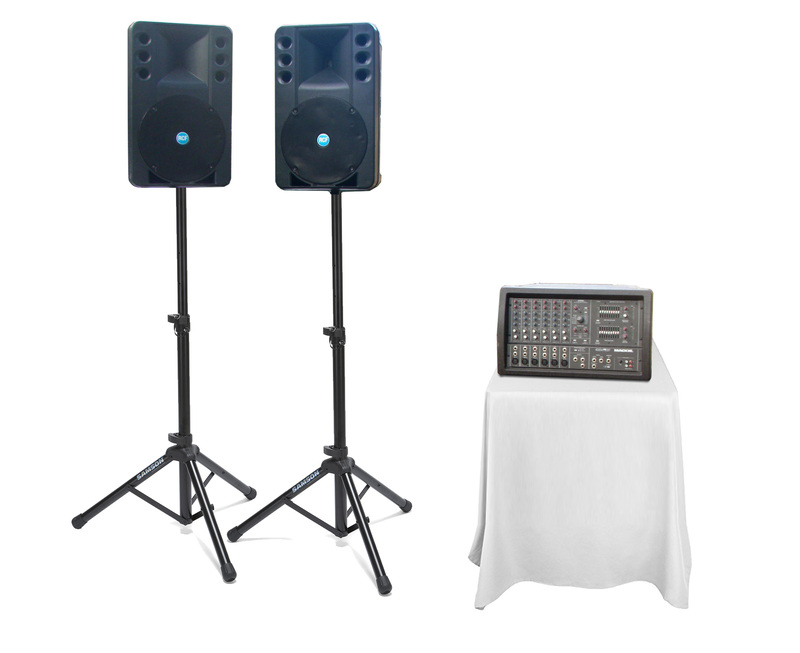 Comes with two high quality mics and stands, (has inputs for up to to 6 mics), EQ, effects and enough power for up to 300 guests. This system is a winner. We are revamping our set up guides to reflect our new colour-coded connections system, and are aiming to have them here soon. Gig it as much as you like, and make as much money off it as you can for just $99 a week! Terms & Conditions apply. Even if you don't feel particularly tech savvy this option could be for you... we have an amazing colour coded system to make set up and pack down a breeze - if you're happy to come and pick up and return the PA system yourself, then this is your option. Note: systems for events held on Saturdays or Sundays must be collected Friday & returned Monday, but you are only charged a one day hire. Do you just want to focus on your event and not have to worry about the sound system? Why not have us come and set up your system for you and cart it away in the morning! *Delivery is free within our designated area, which you can view here. This option is perfect for those who want a stress free and fun night! Click here to find out about or 10% discount offer.